Damaged sidewalks not only make your property look neglected, they also present a liability should one of your visitors fall and get injured. At P&C Stone Work and Landscaping, our expert concrete services include concrete and sidewalk repair and installation that will make your property safe and appealing. From sidewalks leading into buildings and stores, to those on the perimeter of your property, we can inspect your concrete to determine where minor fixing can save your existing concrete, and where replacement sidewalks are necessary. We are dedicated to working closely with owners and property managers to ensure limited disruption to visitors and the flow of traffic while work is being performed. A concrete sidewalk will bring long-lasting beauty and immediate curb appeal to your property. 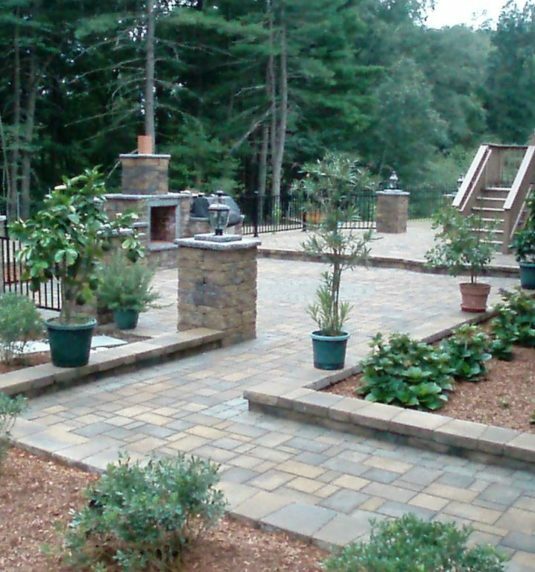 Whether you want to repair or replace a sidewalk or walkway, we’ll bring our extensive experience and skills to complement your ideas and style. We can install a simple, straightforward design, or we can create a customized design based on your preferences and specific needs.